all questions related to Thailand property. 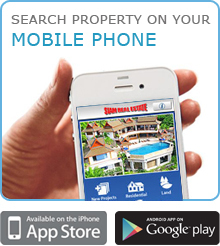 with properties for rent in Phuket, Koh Samui, Krabi, Phang Nga. All rental properties are of a high standard and offer excellent value for money. View an availability calendar for holiday rentals and book NOW, many holiday rental villas have either instant confirmation or availability tracking feature. HOL4084 - Spacious and Pristine 4 Bedroom Villa in quiet and convenient location close to Nai Harn beach. 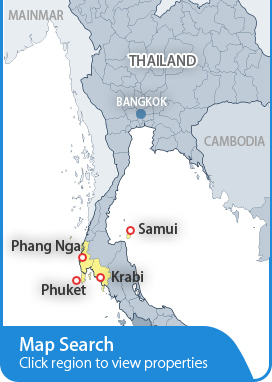 Siam Real Estate is the leading independent property agent in Thailand with representation in Phuket, Bangkok, Pattaya, Hua Hin, Koh Samui and Krabi, has the widest selection of villa rentals, houses and villas, new developments and projects, condos, apartments, land plots, as well as a large Phuket rental selection of Phuket villa rentals, long-term rentals, and holiday rentals. Beautiful home in a quiet neighbourhood. First off, Phil and Shari were a pleasure to deal with during the booking process, while we were at the home, and again after I returned back home. They are very friendly, helpful and attentive. We had the most wonderful time at the villa, absolutely fabulous. A true home from home (much better than home) which I have never experienced before in a rented property. Attention to detail is that of a 5 star hotel and more.